It is crazy to think that summer is winding down and in a few short weeks school will be starting up again! I am sad to see the summer go but also excited for the new year. One of the things that I love is organizing. 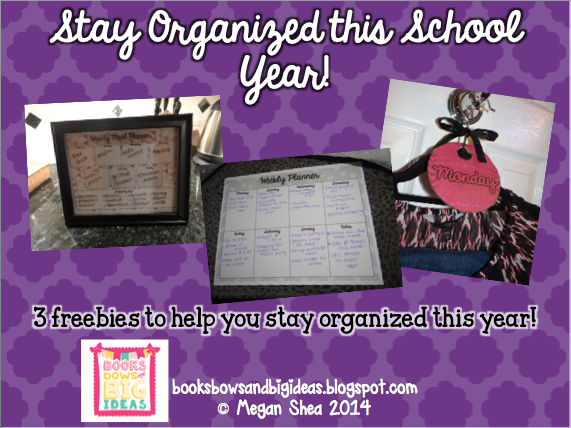 I know that during the school year, it can be difficult to stay organized, so I am going to share some of my best organizational tips with all of you today! I am the kind of person that never goes to sleep without picking out my clothes for the next day. I always check the weather at night and then pick out my clothes. This year, I am going to try something a little different. I am going to pick out all of my clothes for the week on Sunday night. On Saturdays, Sundays and days off, I don't really lay my clothes out unless I have somewhere to go early in the morning. I am going to use these hanger signs to make special hangers to hang my clothes for the week. I think that this saves so much time in the morning, and even if it gives me an extra five minutes to sleep I am happy. I always see a difference in the "morning rush" when I don't lay out my clothes the night before. 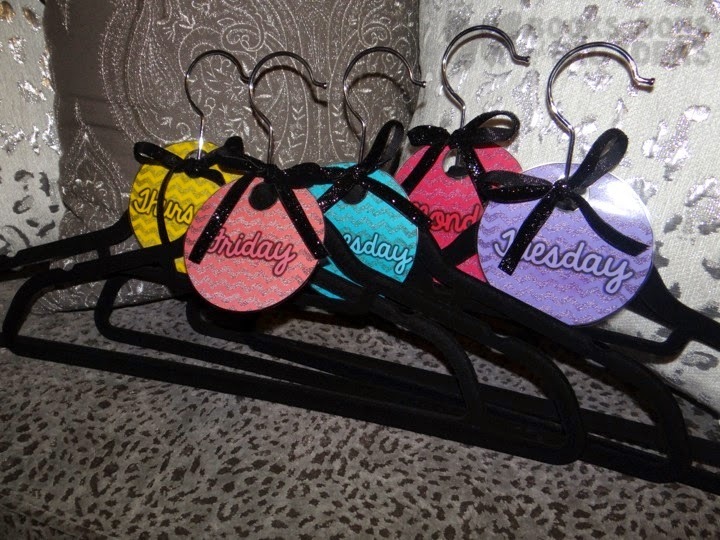 These special days of the week hangers make it easy to lay out your clothes for the week. I use the Real Simple slimline hangers from Bed, Bath and Beyond in my closet. I just cut and laminated the hanger signs and added a cute ribbon. 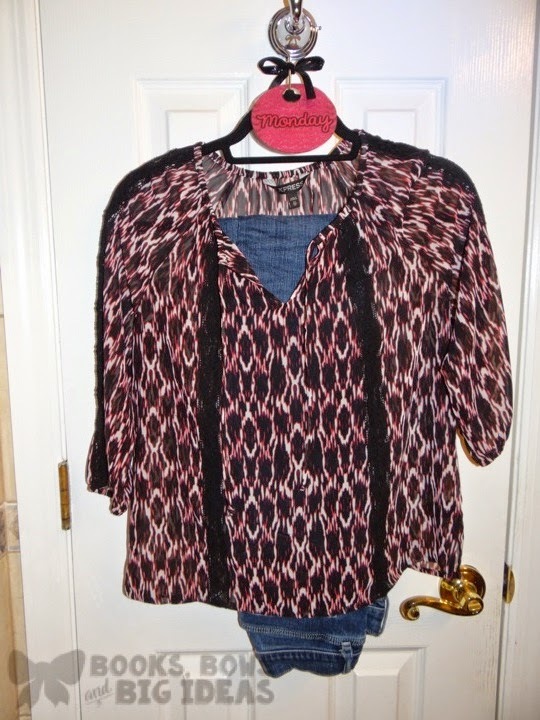 This was my Monday outfit for the week, I hang the entire outfit on the hanger and put them all in a separate spot in my closet. You can get these hanger signs for free by downloading the freebie at the bottom of this post. Another thing that is really great to help you stay organized is a meal planner. You can choose to use it for packing lunches, making dinner or both. There is a spot so that you can write all of your meals for the week and another spot where you can write a shopping list so you can get everything you need to make these meals. This way you know what you are making and you are sure that you have all of the ingredients before the week even starts. I like to use a picture frame for the meal planner because I can use it week after week with a dry erase marker and it looks really nice in the kitchen. Of course, you can also print out a new copy every week and use it like that. The frame I used was 8x10 inches, so I changed the scale to 95% when I printed the meal planner. 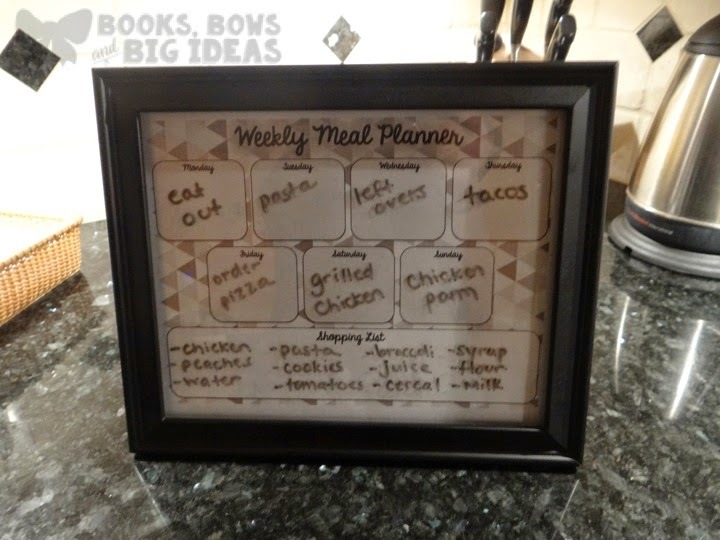 Here is an example of how the meal planner can be used in a frame. You can get a copy of the meal planner for free by downloading the freebie at the bottom of this post. The last thing is something that is really important for me, personally, to stay organized. I use a planner every day. 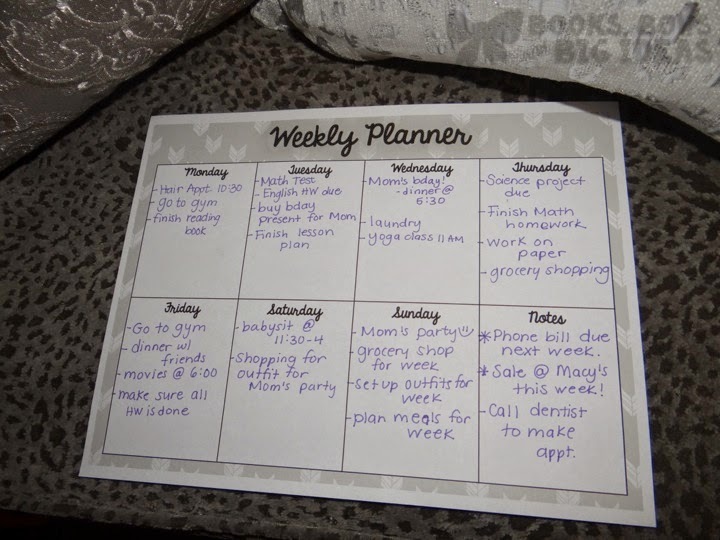 I have an Erin Condren planner that I love, but I also use these weekly planning pages. I write down EVERYTHING that I have to do that day from laundry to math homework due to go to the gym. I cross things out once they are done and then once everything is done for the day, I put a big X through the box so that I know I accomplished all of the things that I wanted to for the day. I try to finish everything each day but some days it is just not possible so I add it to the list for the next day. You could also use the picture frame for this, I just prefer not to. You can get a copy of the weekly planner for free by downloading the freebie at the bottom of this post. Click the picture below to get a copy of the hanger signs, meal planner and weekly planner for free! Great ideas Megan! I'm downloading the weekly planner, it's perfect! Thanks for sharing!